You are here: Home > News > UAHS Survey: Have Your Say! 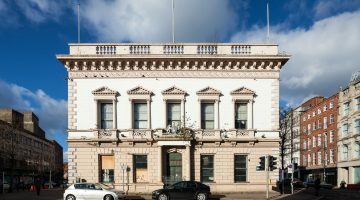 The Ulster Architectural Heritage Society is currently welcoming feedback from both members and non-members through our online survey. Participate to be added to the draw for 1 years FREE membership and a FREE publication of your choice. Your feedback will be independently collected and assessed by our consultant. Providing contact details is optional, and will not be forwarded to UAHS attached to your reply. Replies will remain anonymous. Please note, contact details must be provided if you would like to be entered into the draw. Completing this survey should take 5-10 minutes, depending on the detail you choose to provide. Deadline for response to this survey is 15th January 2016.